As CEO of New American Funding, Rick Arvielo rallied his employees last year to get more involved in industry advocacy. New American Funding employees raised more money for MORPAC, the MBA’s political action committee, than any other single company in the organization’s history. As a result, Arvielo was awarded MORPAC’s prestigious Schumacher-Bolduc Award for political advocacy. 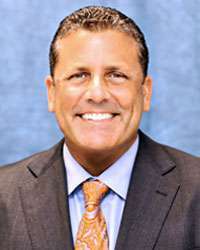 He’s also a recipient of HousingWire’s 2015 Vanguard Award for leadership and the Excellence in Entrepreneurship Award from the Orange County Business Journal. Arvielo also spearheaded the project for New American Funding’s mobile app, GoGo LO.